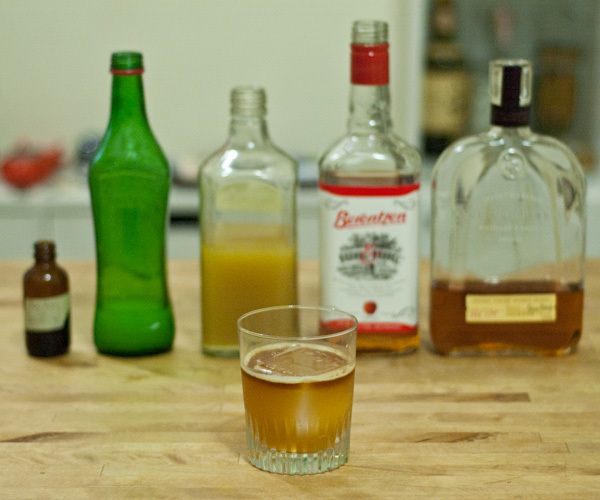 In tin, combine Bourbon, Bushel & Barrel, Honey Ginger Juice, Lemon Juice over ice and shake. Double strain into rocks glass with ice. 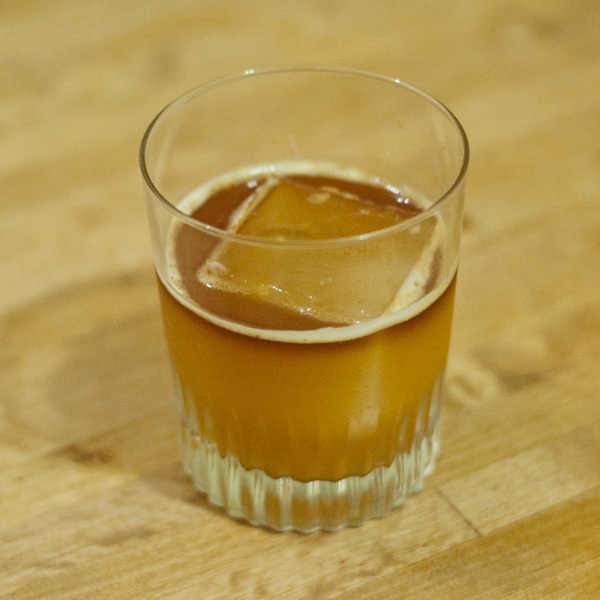 Float Fernet on top. Bonus: The Golden Age of Quackery is also awesome hot! Add 1 oz Water, make sure not to boil the liquids and still float the Fernet on top after you’ve poured the rest into a mug. So in addition to being a cocktail nerd, I make a living as an archaeologist, and one of my colleagues has a friend at Chrysalis Archaeology, a cultural resource management firm in NYC. This past year they decided to recreate a 19th century medicinal bitter, “Dr. Hostetter’s Stomach Bitters.” i got hold of some, and though I haven’t stuck too hard to using it in cocktails (though it contributed to the best old fashioned I’ve ever made in conjunction with some Ango). Just seemed like an interesting note in relation to the theme of this cocktail and since it seems you live in NYC, you might try to get your hands on some. That’s awesome! I will try and look around for some! As we all know, Fernet Branca was another cure-all, intended to assist with stomach issues and digestive wellness. I really want to try these bitters! Yeah, they are a little tough (the first thing I tried with it, A sweet Martini 1:1 Bols Genever/Dolin turned out iffy, even though I thought it was gonna be great) but they smell delicious and I think it’s super cool to use something that old that was recreated that way and it does make an amazing old fashioned – made one with Sailor Jerry yesterday and it was amazing. I think your best shot to get some is to try and contact Chrysalis Archaeology directly.